When Ms. D’s laptop got a bath of water a few weeks ago in a coffee shop, I got the feeling an emergency Mac switcheroo was afoot; it turned out that the MacBook was lost to water damage and the drive salvageable; so while her 2009 aluminum MacBook’s brain got a temporary reprieve in a 2007 MacBook’s shell, it was clear that she would need a more permanent upgrade. My 2010 13-inch MacBook Air was lighter than her MacBook, which she found compelling. The 2010 could run Mac OS 10.7.x, which is important, because she still needs to be able to use InDesign CS2, which craps out at Mac OS 10.8 and higher. My old 2010 has a 256GB SSD, and she was coming down from a 400GB internal hard disk, so if she was destined for an Air, she was going to need a decent-sized SSD to squeeze into. My goal, as usual, was to get something… different. My MacBook Air has been a constant companion for well over a year with nary a complain, but I’ve been eager to try an 11-inch model for sheer portability on sales calls and presentations. Plus, the 2010 was starting to stagger a big under my inevitable load of open windows. I had to move quickly in this emergency search but found a nice match on eBay within the budget — a 2012 model with 4GB RAM, a faster 128GB SSD, not to mention USB 3.0 and faster graphics than I was accustomed to. 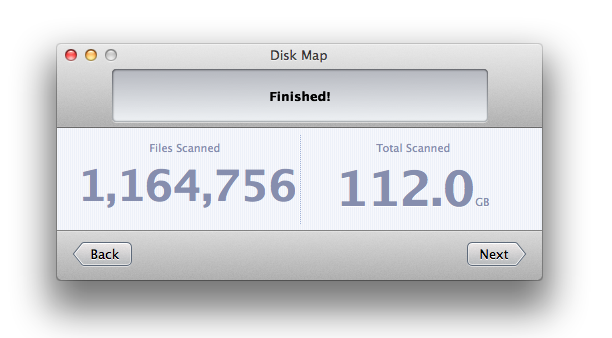 Now… how to get her 350GB of files onto that 256GB — and my 200GB of files onto that 128GB SSD? If you’re like me, you use a lot of web applications — stuff like Gmail, iCloud, Soundcloud, Pandora, Basecamp etc. For running our newspaper company I’ve got business applications such as Ace of Sales, Magazine Manager, Google Analytics and Constant Contact that run in a browser window and that I’m using all the time. And what’s the most annoying thing about running so many applications in browser windows? Finding the app’s window when you need it. Enter Fluid for Mac. If you’ve never heard of Fluid, this might be your favorite blog post of all time. Getting ‘Save As’ Back in Pages, et al. 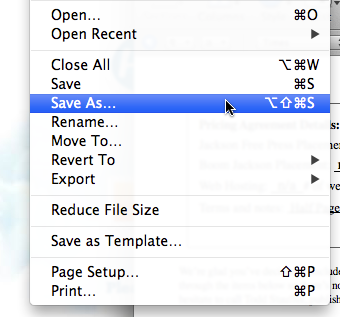 It’s been driving me nuts that Apple removed the Save As command from Pages and other Apple apps; a huge mistake in my opinion, particularly because I’m used to the idea of editing a file (say, a contract that I’m using for advertising) and doing a quick Save As; I *never* remember to duplicate ahead of time. But I hadn’t bothered to Google it until today; and I immediately found a pleasing answer via TUAW. It turns out it’s not a Pages thing, but an OS thing (which makes sense) and the Save As command has been returned in 10.8 and higher; it’s just hidden. Return the Save As command by holding the Option keyWorks like a charm! I’ve finally gotten around to posting a page of the eBooks I wrote for Demand Media in the “Macs for Former Windows Users” series this past fall. It’s a page here on the blog documenting the seven eBooks I was thrilled to put together after a multi-year hiatus from technical writing. I thought I’d commemorate that achievement (the one where I put the page up, not the one where I actually wrote thie books) buy offering an excerpt of one of my favorites of those books, Mac Backup, Maintenance and Troubleshooting. Enjoy “Approaches to Backup” after the jump. For instance, here: Daring Fireball: The iPhone 5. The iPad is great, and maybe iPad Mini will be the answer to my book-reading woes—except I’m not sure I want both an iPad and and iPad Mini. But a super-light 10-inch iPad. Hmm. I just read this blog entry by John Battelle and it got me thinking — while I don’t feel like my Mac is particularly difficult to use, it’s probably because using a Mac is fundamentally one of the few things I’m good at. I know them well and can troubleshoot with relative ease. But, it’s true, troubleshooting a Mac is not always easy — and other people probably don’t want to know what I know or study what I study — so the author has a point. At the same time, though, I do get a little — word? — tweaked — when people don’t seem willing to take responsibility for even a little maintenance or management of their Macs.